Click the button below to add the Body Cream #Skin Products# to your wish list. 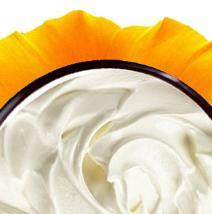 This butter-rich body cream penetrates dryness-prone skin, delivering a new kind of softness. So silky, skin drinks it up instantly, stays soothed and comforted all day. Extra-strength Macadamia oil and Illipe butter help even the driest skin feel immediately soft, supple and restored. This body cream wraps your skin in comforting moisture for immediate relief then works to regenerate lost moisture and help heal dry, damaged skin and prevent dryness from coming back. This skin-loving body cream is made fresh in the USA. Peach Kernel Oil contains Vitamin A and E that eliminates free radicals on skin. Almond Oil contains Omega three fatty acids, Vitamin E and Magnesium, which nourishes skin, leaving it smooth and flawless. Illipe Butter has been used to restore elasticity and vitality to skin. Aloe Vera nourishes skin, making it soft, supple and moisturized. Cupuacu Butter improves the elasticity of the skin. 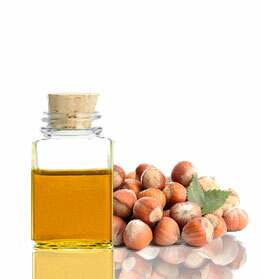 Macadamia Nut, Peach Kernel and Grapeseed oils are vitamin-rich moisturizers. • Can be applied to damp skin to lock in moisture. • Concentrate on your driest areas like the elbows and knees. Aloe Barbadensis (Aloe Vera Hydrosol), Macadamia Integrifolia (Macadamia Nut) Oil, Shorea Stenoptera (Illipe Butter), Theobroma Cacao (Cocoa Butter), Prunus Amygdalus (Almond) Oil, Prunus Persica (Peach Kernel) Oil, Theobroma Grandiflorum (Cupuacu Butter), Vitis Vinifera (Grapeseed) Oil, Mangifera Indica (Mango Butter), Myrica Pubescens Fruit Wax (Laurel Wax), Cetyl Alcohol, Glyceryl Stearate, Sodium Lauroyl Lactylate, Guar hydroxypropyltrimonium, Mauritia Flexuosa (Buriti) Oil, Caprylyl Glycol, Glycerin, Citrus Paradisi (Grapefruit) Peel Oil, Glyceryl Caprylate, Lavandula Angustifolia (Lavender) Oil, Citrus Sinensis (Orange) Peel Oil. I highly recommend this nutritive body cream. I LOVE IT!!! I absolutely love the way this cream smells from the nutritive ingredients (and so does my boyfriend!). I put this on as soon as I get out of the shower while my skin is still damp After one day of using this cream, my skin is soooo soft. I have VERY, very dry skin. So dry, I am prone to itching in my sleep which has left my legs pretty scarred. However, after using this body cream my dry skin has drastically improved AND my scars have started fading. I've only been using these products for about 4 months. FANTASTIC! This botanical body cream is pricey, but worth it. It leaves a silky feel that is not at all greasy but makes the skin very soft and hydrated. It really works great after a sunburn and nourishes the skin, preventing peeling. A little goes a long way and I love how it doesn't have an overpowering smell. Wonderful product. I use Just Nutritive for ALL my skin care needs and it is hard to pick a favorite but if I had to it would be the Natural Body Cream. My skin just doesn't feel right without it. It just melts into my skin and doesn't leave a greasy feeling. Just soft, smooth and well hydrated skin. I also know that I'm not putting a bunch of chemicals on my skin, just pure natural goodness. This cream is exceptional. I first used the Turbinado Brown Sugar Body Scrub and followed with the Natural Body Cream and the results were dramatic. I use the cream daily and my skin is soft and well hydrated, the citrus fragrance is very light and not overpowering. Overall I am very happy with the products that I purchased and would encourage everyone that needs to hydrate their skin to give it a try.